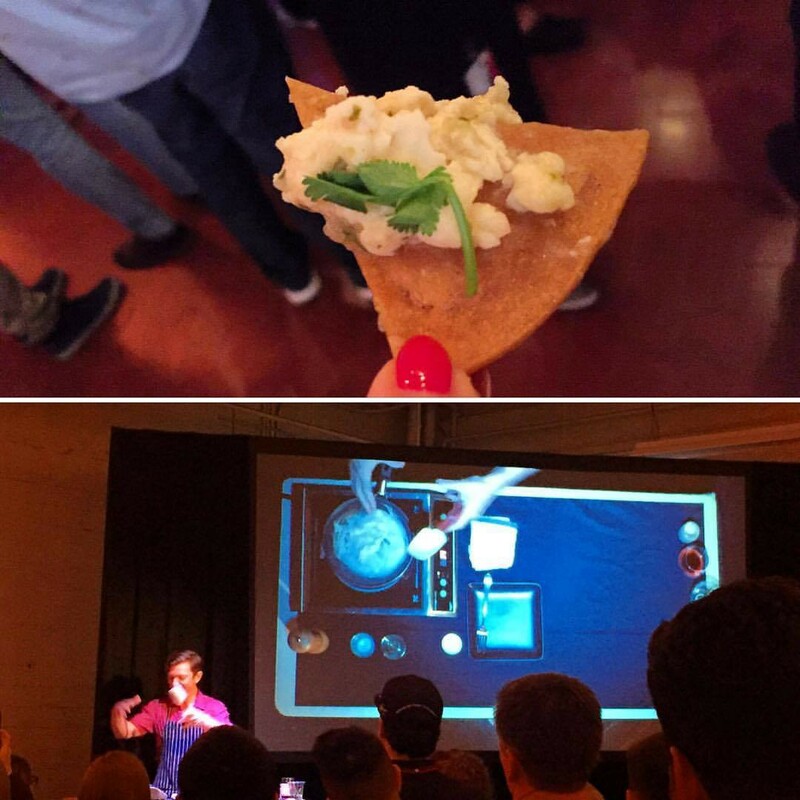 Last week has been intense: ReThink Food, Just Family Dinner, Future of Food at the Exploratorium and finally Food Tech for a Cleaner World. Food Tech for a Cleaner World has been an interesting ending, focusing on an hot topic I am really interested in: Cellular agriculture. During the last months my palate, recognition and appreciation to plant-based proteins has been skyrocketing. My Impossible Burger at Umami, my Hampton Creek Scrambled tasting (not in the stores yet — it is the very first time the company is able to crack the eggless egg!) and my Beyond Meat sandwich, keep on surprising me. Now, I felt like I want to deep dive into cultured agriculture as well. Meat production presents four main challenges at the moment: quantity, environmental impact, animal welfare and health consequences. First, with the predicted substantial increase in meat demand, we will quickly run out of production capacity (Mark J. Post, 2012). Secondly, world meat production at present is contributing between 15% and 24% of total current greenhouse gas emissions; a great proportion of this percentage is due to deforestation to create grazing land (Steinfeld et al., 2006). Thirdly, more meat consumption means more animals raised and killed for meeting the demand. Finally, there are public health problems surrounding livestock production and consumption (Larsson & Wolk, 2006; Song, Manson, Buring, & Liu, 2004). There is now a clear need for alternatives. Several meat substitutes have been developed across the last decade. Meat alternatives entirely made of vegetable components have gained market share. The first generation alternative proteins are products based on soy (Tofu, Tempeh, “TVP: textured vegetable protein”), milk proteins, wheat proteins (“Seitan”) or mycoprotein (“Quorn”) (Hoek, Luning, Stafleu, & de Graaf, 2004). The second generation alternatives are selling the value proposition of bringing to the market a product that bleeds, tastes and looks like meet. 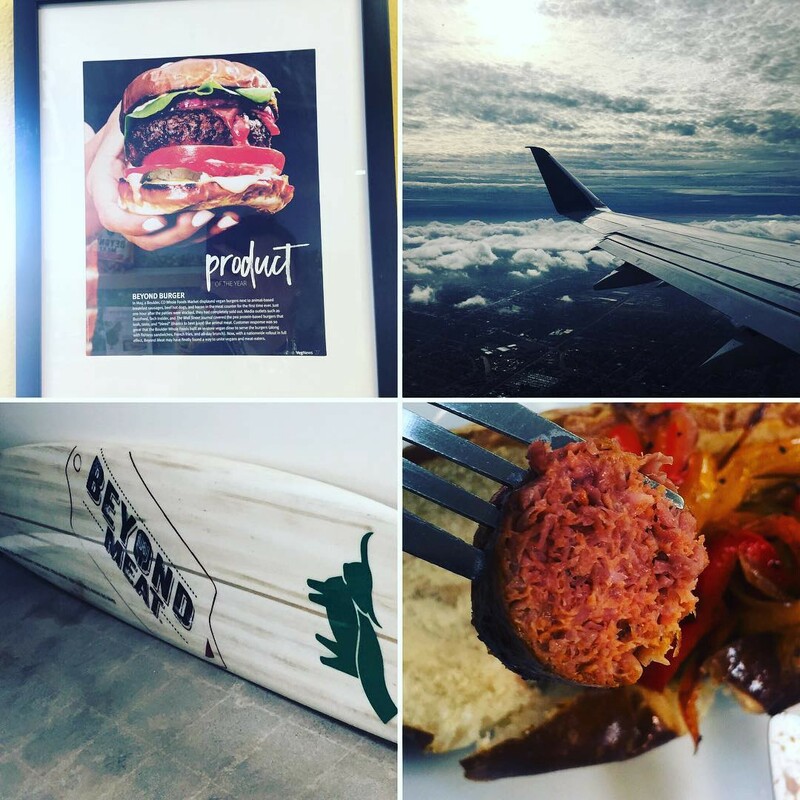 Three are the main companies working in this space at the moment: Impossible Foods, Hampton Creek and Beyond Meet. Insects are an additional source of natural proteins. In addition to sufficient minerals, they have a high protein content (Defoliart, 1992); their high bioconversion rate is favorable for large-scale production although processing requires to get rid of non-digestible chitin (Verkerk, Tramper, van Trijp, & Martens, 2007). The main current limit is cultural : while populations in East Asia and South America accept insects as common food (Defoliart, 1992; Schabel, 2010), we still can’t say the same for Europe and North America. Finally, one of the alternative under investigation (can we call it third generation?) is culturing meat based on stem cell technology, also called clean meat (Mark J. Post, 2012). Cellular agriculture is the production of agricultural products from cell cultures. Products harvested from cell cultures are exactly the same as those harvested from an animal or a plant; the only difference is how they are made. In this case we are not talking about plant based alternative to meat, this is about cultivating cells in order to reproduce them without killing additional animals. Erin Kim, Communication Director at New Harvest, has been one of the most interesting meeting of the week. New Harvest is a San Francisco-based hub focused on spreading knowledge, increasing community and fostering research around cellular agriculture. There are two kinds of agricultural products, she explained, acellular products and cellular products. Acellular products are made of organic molecules like proteins and fats and contain no cellular or living material. Cellular products are made of living or once-living cells. Cellular agriculture products have fewer environmental impacts, a safer, purer product, and a more consistent supply. The main exciting aspects of that, seems to be that products are produced in safe, sterile, controlled conditions, as well as the possibility to design and tune them. Ideally, it is possible to make meat with fewer saturated fats or eggs without cholesterol. The very first piece about clean meat came out from the Department of Agricultural, Food and Nutritional Science, University of Alberta, in 2010. Implementation of an in vitro meat production system (IMPS) to complement existing meat production practices was already recognised as an opportunity for meat products to be put onto the market. Can you immagine yourself growing your own meat in a few years? 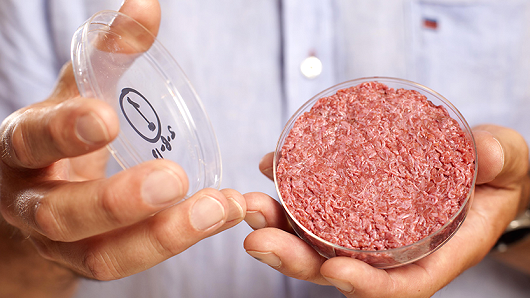 The first cell cultured beef hamburger was an important milestone in cellular agriculture. Mark Post showed the world that creating cultured meat was scientifically possible . Now the most important innovations in culturing meat will be about finding the way to produce it in large quantities for a reasonable price. In other words, thanks to the cultured beef burger, we know producing cultured meat is not a question of scientific discovery — it’s an engineering problem. I personally think plant based alternatives are great options as well as clean meat. Both solutions are fighting the same problem, starting from a different angle. For sure, clean meat still need a huge educational effort as well as engineering work: growing a large number of muscle cells, help muscle fibres mature, as well as fundamentally disrupt what millions of people daily put into their mouth, it is not an easy job. My take on all this? I believe the meat of the future will just be 100% meat and 0% animal. And I don’t see anything wrong with it.